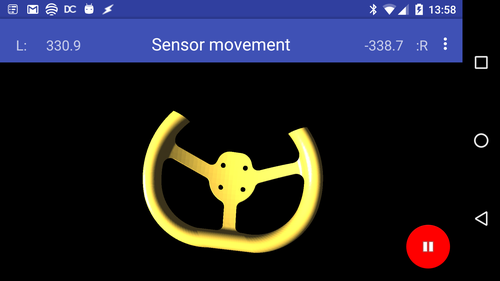 Arobot Android app is the movement controller for the robot system. We can control two axis, left and right. The velocity of two axis are calculated based on the position and movement of Android phone. The signals form internal sensors are evaluated , filtered and calculated to velocity commands. The commands are transferred to robot actor utilizing the proper protocol. As option it is possible to control the velocity with manual position of two sliders. 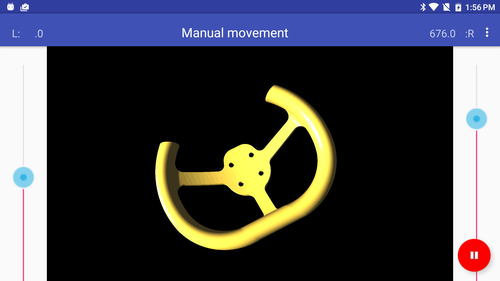 The steering wheel visualizes the values of commands.